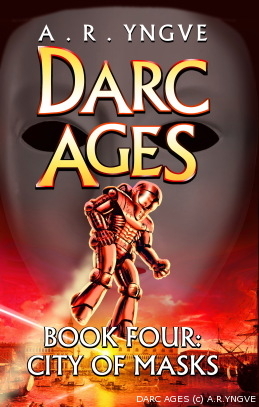 The English-language edition of DARC AGES Book Four: City of Masks has now been released. It is available as e-book and POD (Print-On-Demand) paperback. Read a sample of the Amazon release HERE. 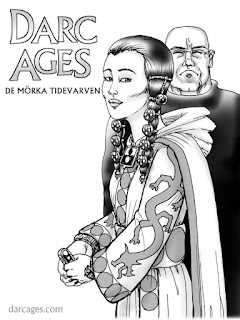 The cover design is slightly different from the Swedish edition (and flashier), but the interior illustrations are the same as in the Swedish version. In CITY OF MASKS, the focus of the plot shifts from Darc -- the hero of the original trilogy -- to four other characters: a formidable warrior with a personal secret that is taboo in his society; a bright noblewoman with her own dark secrets; a young scholar on his first journey outside his home city -- and a noble physician on a quest to eradicate the plague which has ravaged the world. Their fates intertwine as they join a diplomatic mission to the mysterious closed city of Vanitia. Once they enter Vanitia, the City of Masks, they quickly find that nothing is quite what it seems. The four heroes realize that they are trapped and must fight... for their freedom, for their lives, and for everything they believe in. The previous three DARC AGES books were also published in Sweden, and were well received by many book bloggers and critics:"This book was exciting from the start and the excitement kept up till the end. "Now that I have just finished reading Book One, I look forward to reading the next part, because I will definitely read on." 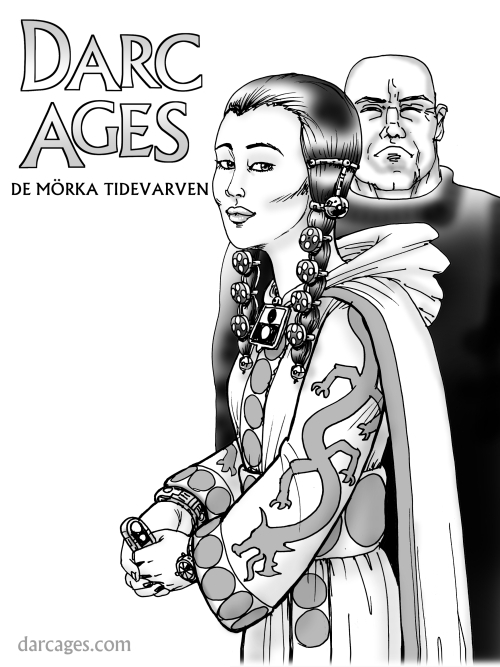 "Darc Ages is a rather lighthearted adventure story where David gets to know the new world, impress others with his knowledge and abilities, and in true heroic spirit tries to help the people who saved him. "You are drawn into the illusion that this is what the world would really look like after an apocalypse. That the world is strange, yet very familiar is also a strength." "I recommend you read it!" "A readable, illustrated(!) and imaginatively narrated history. I got involved in the plot and want to follow the characters' fates further and get a broader picture of the futuristic scenario. Looking forward to the next installments in the series." "To read science fiction is thought-provoking, and this is a book series that I think YA readers can clearly enjoy." 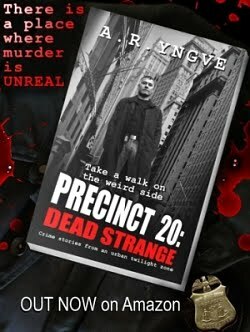 "This book was very exciting and captivating and therefore gets the rating 4 out of 5 stars." Visit the official website of the book series, darcages.com, to learn more. Read a FREE sample of City of Masks HERE.